If you choose to work with us, we utilize our in-house short sale partner, Florida Short Sale Solutions, who has extensive experience negotiating short sales and getting approvals from all major lenders. The services provided are free to our sellers. The staff at Florida Short Sale Solutions are fully committed to one goal & helping getting your short sale approved. They are not also trying to be real estate brokers or agents, tax professionals or attorneys. Market the Short Sale Property - When marketing a short sale property it is important to inform the buyer and buyer's agent that a short sale can be a lengthy process. 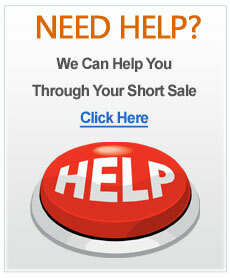 Florida Short Sale Solutions has an excellent track record of closing short sales. The fact that you have partnered with an expert short sale negotiation company separates you from agents who negotiate their own short sales, often with little or no success. Status Updates via Short Sale Commander - The Orlando Metro Realty Team and Florida Short Sale Solutions understand from experience that communication is the key to keeping all parties of a short sale informed and committed. Due to this fact Florida Short Sale Solutions has invested in Short Sale Commander; a web based short sale negotiation software system. All parties will be provided with password protected access to the secure website. Here all parties can find the most up to date status of short sale files at anytime. Of course should you have any immediate concerns you can easily contact either your agent or assigned short sale representative by phone.